This delightful kids meditation CD offers powerfully effective guided imagery and relaxation techniques for kids, ages 5-12, and is especially helpful for boosting confidence and restful sleep. Kids who are feeling stressed or overwhelmed at home, at school or at play will find relief and comfort from repeated listening to this beautifully produced, holistic, mind-body audio program. Designed to relieve stress and enhance feelings of mastery and well-being naturally, relaxation meditation for children tells an empowering story that soothes anxiety and encourages confidence. It is masterfully written and produced by Betty Mehling and beautifully scored with Max Highstein’s music. This recording was tested at Denver Children’s Hospital and found to cut down the need for sedatives during frightening medical procedures. Because of its calming, soothing impact, it is a highly recommended resource for relaxation for kids and is also used for help with sleep. Listen to a sample of this extraordinary, confidence-building, stress-relieving relaxation meditation for kids and see for yourself why it is one of our most popular resources for children, recommended by teachers, child & family therapists and parents alike. (51 min.) 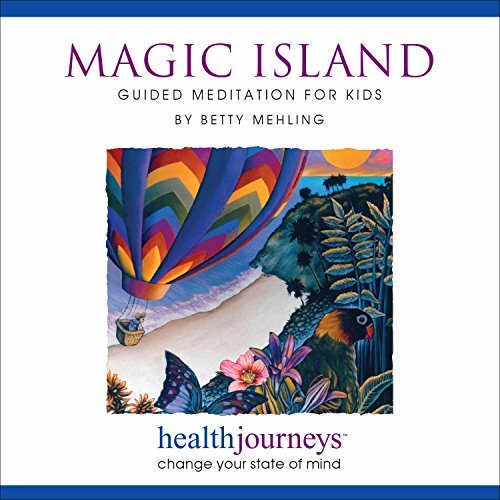 Betty Mehling is an author, lecturer, and RELAX shop leader. Betty began teaching children how to relax in California schools in 1980. Since then she has taught thousands of children how to cope naturally with everyday stress and tension.